Many of our visitors expect that fine art in the West will consist of traditional Indian portraits, cowboy action scenes, and majestic mountain landscapes. And that, certainly, is the legacy of the many illustrators turned fine artists who gave easterners their first glimpse of this strange, new land in the late nineteenth century. 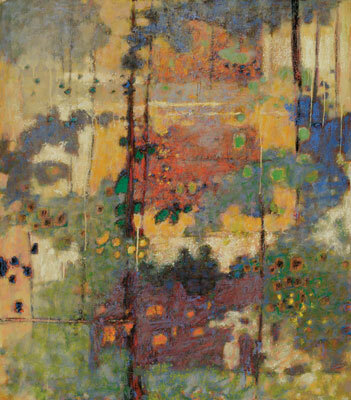 It, too, was the focus of many of the artists who formed the Santa Fe art colony in the early twentieth century. Since the early days of the art colony, however, our town also has attracted artists who saw their surroundings in fresh, new ways and expressed their vision with new aesthetic ideas and techniques. The likes of Robert Henri, John Sloan, W. P. Henderson, and Randall Davey brought the latest art trends from “back east” in the 1910s and 1920s, reshaping them around the very different conditions of the Southwest, and adapting them to their own personal tastes. The same has been true of subsequent generations of Santa Fe artists, right on through to the present. When Canyon Road emerged as Santa Fe’s gallery district in the 1960s and 1970s, many of new galleries (some owned by the artists, themselves) promoted the innovative work of a new generation of artists. 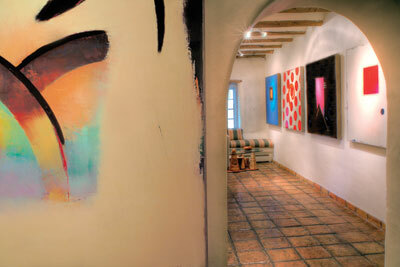 Today, Canyon Road galleries represent nearly every facet of the contemporary art scene in America. For most of us, the purchase of fine art represents a significant financial investment, but one that pays off in the daily joys and pleasures that art affords. Because the field of contemporary art is so complex, it is essential for patrons to find advisors who can accompany them on the search for art that is personally fulfilling. We asked what qualities the patron should look for in a fine art dealer. Rachel Darnell: A buyer/collector should look for integrity in an art dealer. Chris McLarry: Yes; honesty, knowledge, and going the extra mile to insure complete confidence in a customer’s art acquisition is essential. Selby Fleetwood: Dealers who listen, share information openly, do their work with honesty and integrity, and present quality work are rewarded and garner committed clients. Nancy Hunter: Integrity is the word. Buyers need to feel confident that the dealer is attuned to their needs, not merely looking for a sale. Buyers should also pay attention to the dealer’s longevity in the business, and whether she has well-established relationships with the artists she represents. Patricia Carlisle: Integrity is essential, but here are a few more criteria: the first thing is what kind of art is being exhibited. The second is how the art is displayed and how the gallery looks. The third thing is the feeling they have when you, the client, enter the space. Many visitors to Canyon Road — even many experienced collectors — are unfamiliar with the ins and outs of contemporary art. Without the conventional attributes of identifiable subject matter and clearly drawn forms, many artworks can be perplexing. Chris McLarry: The people that ask that question are not art buyers. Rachel Darnell: First of all “my eight year old could do that” is a rude comment. My usual response is “go for it.” Here are some of the virtues of contemporary art: First of all “contemporary” just means the artist is alive and creating in any style. 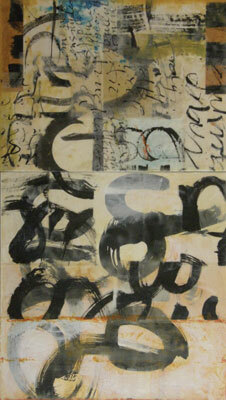 As for “abstract” or “non-representational” art the virtues are that it reflects our modern society today. Modern society is much less formal and structured. People in general are more educated and familiar with other cultures and their influences and enjoy more complex visual statement. An analogy would be in music to compare the waltz to jazz. 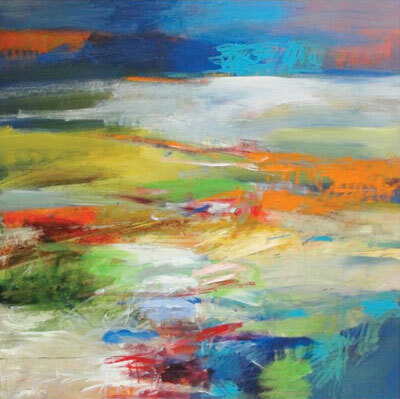 Mary Bonney: Contemporary artists for the most part have had traditional training and are quite capable of ‘drawing something you can recognize.’ What I like is that they have taken it to the next level, elevated the mood of a piece to create high impact paintings that convey a true sense of energy and emotion. No, an eight year old could not do it! There is such a thing as ‘bad abstract’ and a good dealer can recognize that. There is a level of confidence in any good painting that is appar-ent to a trained eye. Patricia Carlisle: Contemporary art has a very broad spectrum. Contemporary means “what is happing now.” To try to fit contemporary art into a “genre” doesn’t make sense. People love what they love. You can explain a particular piece to a client, but if they don’t love it, they simply don’t. I want our clients to love what they buy. I’m not trying to sell them something that doesn’t give them the “chills.” Everyone has different tastes and that is the beauty of fine art. Selby Fleetwood: When any work, contemporary, modern or traditional continues to engage a viewer after seeing it only once or several times, then the chances are good that piece would work in their collection. Seeing something new that strikes you about the materials, composition or technique the artist has employed is a clue that a purchase is important. If someone expresses uncertainty about a contemporary work the best we can do is to share the artist’s views about the work. The viewer will either emotionally or intellectually connect to a piece or not. Either way something has been communicated which as time goes on has the ability to change the way anyone looks and sees something. Nancy Hunter: You don’t need to be an art expert to enjoy art of all types; any work that speaks to you and brings you enjoyment is “good” art. In my gallery, I like to share information with my clients about the artists, their processes and inspiration, to personalize the art-buying experience and make it more accessible. Santa Fe is a particularly good destination for buying art because the experience here is more congenial, less intimidating than in places like San Francisco or New York, where I’ve also sold art. People can develop a relationship with both the art dealer and the artists, making it enjoyable for all concerned. Santa Fe is the second largest art market in the country, and new galleries are opening every year, even in these uncertain economic times. And yet, the vast majority of the new galleries in Santa Fe present contemporary art, much of it abstraction. We wondered why. 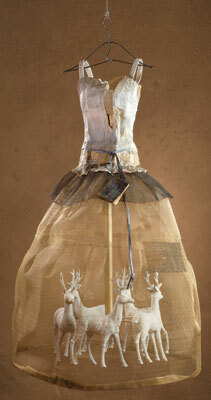 Rachel Darnell: Well, I think Santa Fe becoming known for more varieties of art than the tradition Cinco Pintores. The Old style is waning as artists are trained in more con-temporary styles and collectors want to buy something new and different from their parents’ generation. And that reflects their more chaotic everyday life and casual entertaining. Patricia Carlisle: That’s true; most of the new galleries in Santa Fe have a different vision of what they want to show. The traditional art Santa Fe used to be known for still exists and is very important to our history. As new galleries open by younger owners the tastes will always change. That is the natural evolution of life. Selby Fleetwood: Contemporary work expresses new ways of looking at things that may be old or new, with an artist’s unique perspective and their rendering of the subject matter. 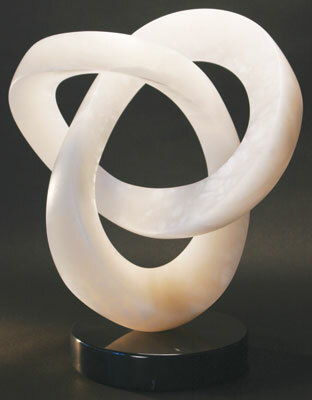 They share with us their personal vision which creates a new way of looking and seeing. Chris McLarry: There also is a broader demographic of people and homes where contemporary art fits across the country. So it’s not just the artists, but also the buyers, who are interested in new ways of seeing. Nancy Hunter: I’m not sure it’s true [that most new galleries sell contemporary]. But what I do see happening here over the past 20 years or so is the emergence of contemporary art as an important part of the mix offered in Santa Fe. We used to be known almost exclusively for Western and regional representational art, even though there was actually plenty of contemporary art to be found. People just weren’t as aware of our contemporary offerings, and there was a bit of stereotyping going on. Currently I think you’ll find more awareness on the part of art enthusiasts of the vibrant contemporary art scene here, and I believe we have a healthy mix of Western, regional, and contemporary art. The market here has matured, which is great for all of us regardless of the type of art we exhibit. Mary Bonney: For me, my passion is contemporary art. 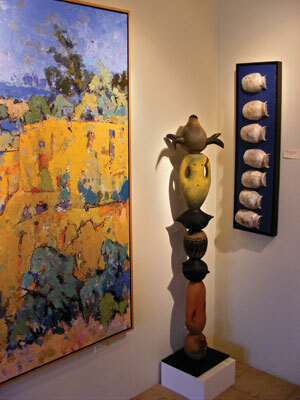 There is room for all types of art in Santa Fe, and it being the art mecca that it is, there are buyers for all types. I like being the ‘nice surprise’ to a collector who has seen plenty of traditional work and is looking for something different. We asked our gallerists to describe some recent trends in contemporary art and to make predictions about where the art they show may be going in the next few years. The answers remind us that the field offers something for almost every taste. Nancy Hunter: One trend I’m not crazy about is the tendency of dealers to want to discover the “next great thing” by promoting ever-younger artists. In my many years as a dealer, I’ve found that serious artists who have dedicated their lives to honing their skills and experimenting in different media and styles bring a lot more to the party than artists who are just starting out, no matter how brilliant or promising they may be. I maintain a close relationship with the artists I represent, and I’m very respectful of the seriousness and dedication they bring to their work. I’ve watched them mature and improve over the years, and I’ve seen how each level of accomplishment informs the next, with their experience reflected in their work. There’s a depth there that you won’t find in less experienced artists. Chris McLarry: That’s right. Contemporary art buyers are looking for substance in the artists’ techniques. Very vibrant color is in demand now. 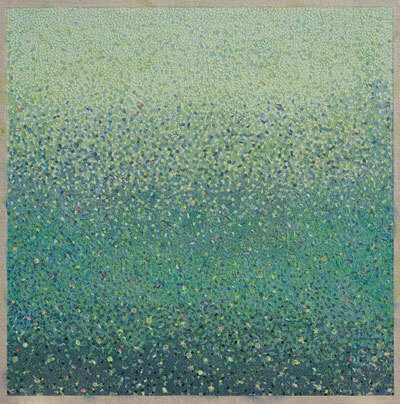 Rachel Darnell: I think there is more and more nonrepresentational art. The trend in the last few years has been very high end modern art galleries opening. But because of the economy being difficult I think some of the “hobby galleries” have closed and the galleries that are still here are run by people highly committed to the arts. Patricia Carlisle: That’s interesting because what I’m seeing nationally and internationally is that the pendulum is swinging back to figurative art and less abstraction. I think that is where contemporary art is heading. It takes us back to the heart and soul of fine art. Selby Fleetwood: A compelling trend we might be seeing is the innovative use of materials and subject matter treated in unusual ways, compositionally and technically. This trend though has broad appeal across generations, so younger people as well as more seasoned collectors can respond. It seems that people who are building collections or simply purchasing a work they can’t live without are looking ahead at what’s new, and not so much what’s behind us, and that’s exciting as a dealer. 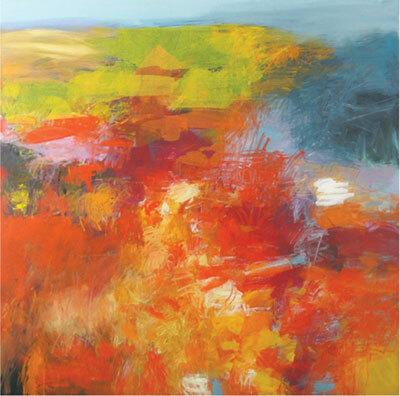 It allows for galleries and artists to present some exciting and innovative work in a growing number of genres. Mary Bonney: Innovation in materials definitely is big. 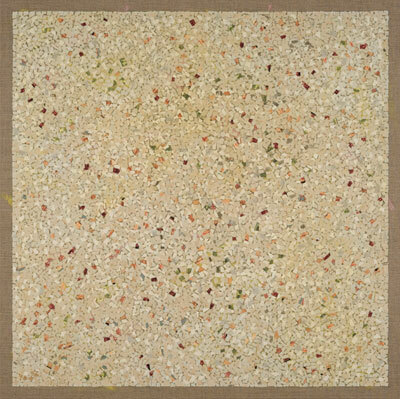 Encaustic [painting with pigment-infused wax] is the latest trend. I have shown encaustic for ten years, (and have had to educate many collectors about it) but in the last two years I am noticing that more people are familiar with it and it seems more galleries are showing encaustic artists. I am glad I was ahead of the curve on that one! Next, we asked the gallery owners how the contemporary art market is doing now and what are its prospects for the next few years. Rachel Darnell: The impulse buyers are gone. Collectors are making slow calculated choices. Some want a bargain no matter what. I see the Santa Fe market getting stronger. Simply because, to stay in business everyone is having to work so much harder and smarter. One has to be extremely competitive to just survive. Mary Bonney: My buyers seem to be getting younger, which is great as I am developing great relationships with clients that have many years of collecting ahead of them. 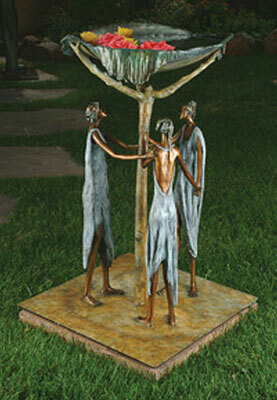 One service I started offering several years ago was ‘lay-a-way’ because it seems that the interest in art has remained, despite the economy, so by giving clients a ‘payment plan’ that allowed them to still buy art work, on terms that were accommodating, I continued to sell even in a bad economy. I consistently have 8-10 paintings on lay-a-way, even a $12,000 painting! It’s nice for me to have sustained monthly revenue, and the clients appreciate the service. The Santa Fe market will continue to improve; the competition here forces everyone to be their best — which I prefer — and normal attrition maintains a balance. I think we will continue to develop into a more contemporary art market, as we promote ourselves as not just a city of the Southwest, but a city with more than just paintings of pottery. Patricia Carlisle: We have been blessed with a very loyal clientele that has continued to invest even in tough times. Every year we see the smaller and older galleries close, yet we also see new “young blood” opening up. 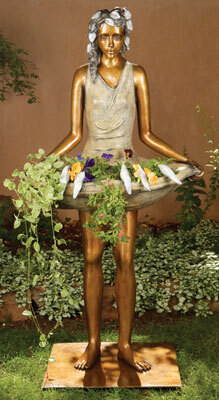 Santa Fe will continue to be the strong art market that it is. Chris McLarry: When the economy recovers and we get a new administration in Washington, I see Santa Fe returning to the strength it had. Right now the strong galleries with established quality artists, good locations, and sound business practices will do just fine. Selby Fleetwood: Artists with a sense of spacing and simplicity who rely on composition and meaning over boldness and color remain strong in our gallery. With more innovative trends the Santa Fe art market will continue to attract sophisticated collectors as well as casual buyers. 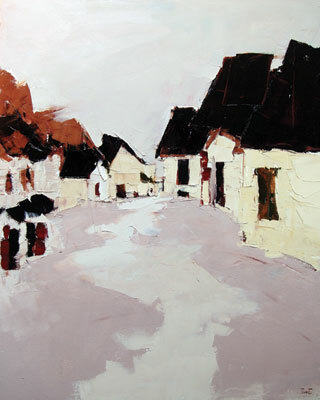 That is one of the beauties of our city-artwork of lasting quality in many price ranges can be found for anyone who wishes to enjoy original art in their home. Nancy Hunter: I don’t look at the local market in terms of strengths or weaknesses, and I’m not particularly interested in jumping on the bandwagon of trends. I’m loyal to the artists I represent because I think it’s important to honor their talent, hard work, and dedication. I seek to represent artists whose work and work ethic are worthy of that respect, regardless of the type of art they are creating. Good art is timeless, so it’s not important to me whether it’s the “in” thing or not. There probably are cycles in the art world where people favor, say, sculpture or art photography over oil paintings or encaustics, but they’re pretty much meaningless to me. I’m committed to selling beautiful work created by artists I believe in, period. It is clear from our brief conversation that the world of contemporary art is incredibly diverse and — like all art — is very personal. The art sold by our six gallerists reflect that diversity, but it is very clear they all share one trait: they are passionate about the art they sell. To ground the conversation, we asked each to tell us how they became involved in contemporary art. Mary Bonney: I have been in business 10 years. 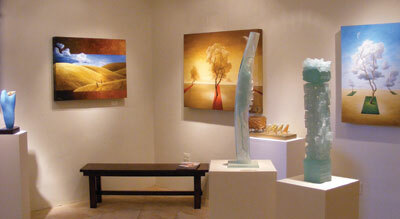 Prior to opening my gallery I was a national art rep living in New York, and did consulting for artists and galleries. Patricia Carlisle: It’s where my life led me. I went to see a show in San Francisco where the walls and ceiling were pure black and the photographs had narrow spot lights and they were floating in nothingness. It blew me away. I knew at that moment that this was my life’s calling. I fell in love with contemporary fine art at 20 years old. After graduating from the San Francisco Art Institute I moved to Santa Fe in 1989 and directed several high end galleries. In 1997 I opened PCFA and began to fulfill my vision. We are blessed to be celebrating our 15th year. Rachel Darnell: I have been in the art business since 1988. As an artist, after I graduated from the College of Art, I decided the best way to learn how to market and sell my work was to work for an art gallery. Selby Fleetwood: In 1998, I moved to Santa Fe from the East Coast. I brought the portfolio of a good friend who had only gallery representation in the East. When I found a gallery I liked on Canyon Road, I presented the work to the gallery and the owner accepted the artist and offered me a sales position. I accepted and became the gallery director within a year. In 2004 when the opportunity presented itself, I signed a lease for our current space with my partner Eddie Buchbinder and we opened our gallery. Nancy Hunter: I became an art dealer after I married the artist Mel Hunter and opened my first gallery in 1975, which I owned and operated for 17 years before moving to Santa Fe in 1993. 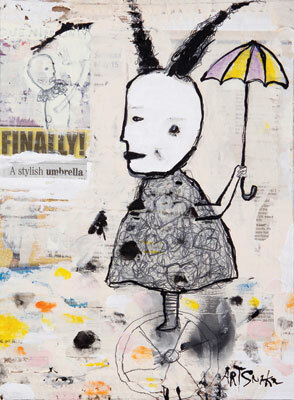 Chris McLarry: I opened a small gallery in Dallas, Texas in 1986, just out of college. I would come to Santa Fe to gather art and artifacts to take back to Dallas to sell. After two years the desire to live in Santa Fe became too strong so I moved to Santa Fe in 1988 and worked as a director for a gallery. A few years later I opened my own gallery at 225 Canyon Road. This article was excerpted from Canyon Road Arts: The Complete Visitors Guide to Arts, Dining and Santa Fe Lifestyle, Vol 6, 2011-2012, pages 74-84. Canyon Road Arts is published by Medicine Man Gallery. All rights reserved.